Over the last fortnight Mark Smith from our Production Team has run twelve consecutive 10k runs in aid of Cancer Research UK. Along with his Dad and brother, Mark has endured all weathers, and a wide variety of routes and courses – some muddy, wet and boggy, others grassy and rocky, and some with stunning views as you’ll see from the picture! 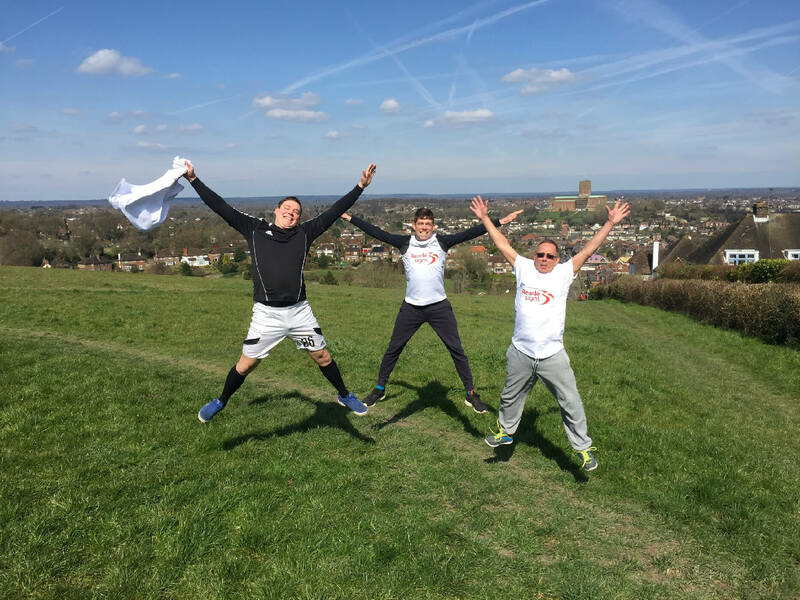 Their challenge was met with a problem on the last day when their car broke down en-route to the Cancer Research UK ‘Tough 10’ event in Hadleigh Park, Essex, where they had planned to mark their final run. But instead of giving up they Googled the nearest 10k route and started running! Between them they have covered over 360 kilometres – the equivalent of running from London to Lands End! The Reade Signs team are very proud of Mark in rising to such an incredible challenge and raising over £800 for Cancer Research UK!